Postoperative Anxiety – Hair transplant surgery can be a lengthy process. However, you are likely to be pleased with your new hair and appearance. One of the first hair transplant facilities originated in Turkey, and now over a hundred thousand patients come to Turkey every year. This number has been increasing on an annual basis, and SHIFT Hair Transplant centre is considered to be among the best hair transplant clinics in the country. What is the most common hair transplant technique? Regardless of the type of surgery, taking proper care of the hair and scalp is essential as this will ensure that the process is successful. Different clinics perform a wide range of surgical hair transplantation methods. The best and most successful of these is widely considered to be the FUE or ‘Follicular Unit Extraction’ method. FUE is a relatively painless and non-invasive hair transplant procedure. It involves extracting individual follicular units from the patient’s donor area for hair restoration. This extraction and implantation process is best performed one by one, as practised by the surgeons at the SHIFT Hair Transplant centre. FUE is different from the strip harvesting process. Strip harvesting involves taking a strip of skin from the patient’s donor area and dividing this into separate follicular units. However, this can be a painful process. The popularity of FUE, on the other hand, is increasing steadily. This is because of its reduced postoperative care requirements and almost negligible side effects. As doctors have started to adopt FUE, the demand for hair transplantation in Turkey has continued to increase at the same pace. What is postoperative anxiety? How can patients overcome this? Even after a successful hair transplant procedure, the importance of the post-FUE postoperative guidelines remains the same. Proper controls and care as prescribed by doctors are the most significant factors in guaranteeing a high success rate in hair transplantation. Some patients may complain about postoperative anxiety, infection or irritation in the operated area, in addition to other issues. All of these are linked to an improper postoperative care process. Your skin and hair will also need care after the operation. Doctors and surgeons performing the FUE treatment at SHIFT Hair Transplant centre always prescribe rigorous follow-ups to help cope with postoperative anxiety. It is in your best interests to follow the instructions of your doctor and ask as many questions as possible. This will help your understanding of the FUE treatment process and post-operative procedure. Before undergoing a hair transplant procedure, it is good to do your research. In forums relating to hair loss treatment and hair transplant surgeons, there is always a strong emphasis on postoperative follow-ups and patient care. Here are some hair-care tips to help you to cope with postoperative anxiety and potential irritations. Following this advice can help ensure the success of your treatment. It is important to understand that a hair transplant is a sensitive procedure. Never hesitate to ask your doctors at the SHIFT Hair Transplant centre about anything relating to the FUE procedure and follow-up process. Doctors and surgeons in Turkey generally give appointments for postoperative follow-ups after FUE treatments. Many clinics offer free postoperative consultation sessions. 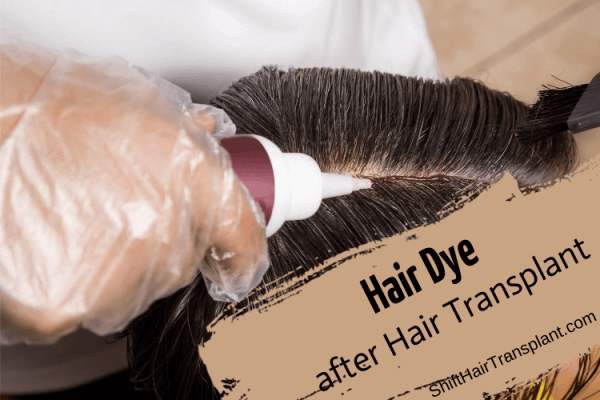 It is important for you to attend these meetings because during this follow-up period you will receive proper guidance about how to care for your newly transplanted hair. This, in turn, will help to ensure the success of the operation. Immediately after the operation, the affected area of your skin will be sensitive. You may feel some pain, so it is best to avoid going out into direct sunlight. Try to avoid spending too much time outdoors as air pollution and other factors can affect the sensitive area. Doctors at SHIFT Hair Transplant centre suggest using a hat to protect your head from direct sunlight. Following your doctor’s guidance, use a sunscreen with a high SPF level to shield the affected skin from the sun’s UV rays. Any delays in the FUE follow-up process can cause the sensitive skin to feel irritation, itching and postoperative anxiety in the body. This can lead to scars in the affected area and can even cause the FUE process to fail. After a hair transplant, doctors advise patients to elevate their heads to a 45-degree angle so as to avoid swelling. It is also a good idea to follow the course of medication that your doctor has prescribed to you. You may also wish to make use of creams and ointments to soothe the affected skin and hair. Doctors recommend following a healthy lifestyle to boost skin and hair health. In fact, doctors and surgeons performing hair transplantation in Turkey emphasise the importance of lifestyle change for good health and good hair in general. Even after a hair transplant, it is best to keep these good habits up. This will ensure that your hair continues to be shiny and healthy. Avoid using spicy foods and alcoholic beverages to cope with the postoperative anxiety of hair transplantation. Try to quit smoking to keep your internal anatomy in good health. This will bring out the shine in your hair and the affected skin area. Follow a simple diet including plenty of fruits and vegetables, as this will ensure the best possible outcome for your FUE process. Follow doctors’ advice to avoid stress of any kind. 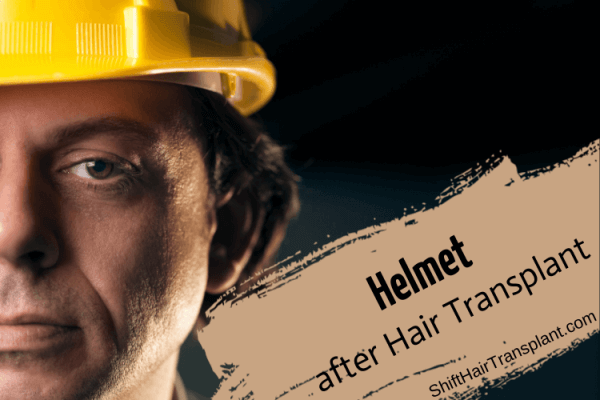 This will aid rapid improvement after your hair transplant. Even if you have to return to the office before the recommended FUE postoperative period has finished, try not to worry too much about this.